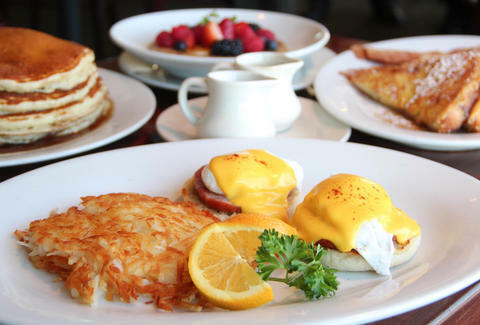 The owners of Bethesda's Hamburger Hamlet have a close relationship with LA's famous Du-par's diner, which means you can start a close relationship with their west coast pancakes, perfected over 70 years and once dubbed "the country's best" by people even more expert than your grandparents in Santa Monica. 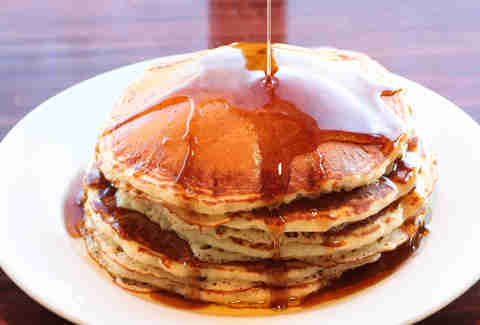 This also means they're serving breakfast 24hrs/day, so pop in anytime for: These legendary flapjacks are made with flour shipped in from a CA mill, and topped with maple hot cake syrup & melted grade AA butter, mildly better for you than drinking AA batteries. 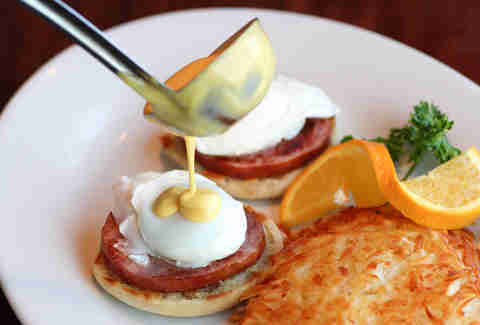 The blue plate special's eggs benedict with Canadian bacon, so mount up and eat this bad boy immediately. 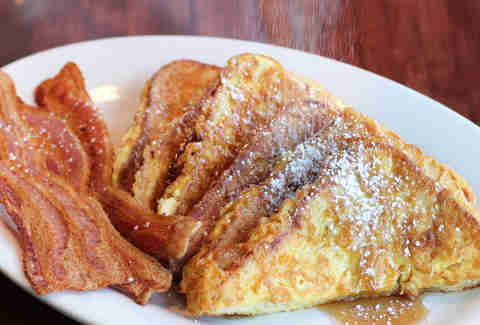 House-baked brioche becomes golden brown French toast. You become happy. 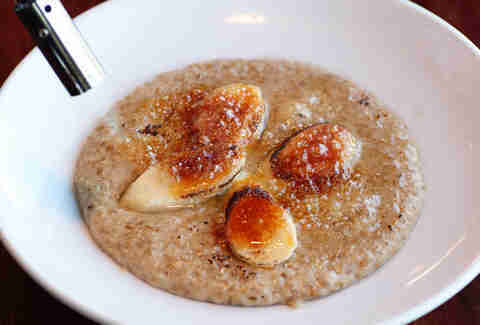 Even the steel-cut, whole grain oatmeal is deliciously fattening! Eat here everyday, and ensure that you're not able to perfect anything over 70 years.